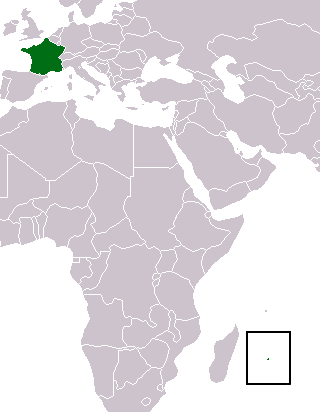 The tiny island of Réunion1 is little more than a dot in the Indian Ocean, east of Madagascar and southwest of Mauritius. For nearly 200 years that dot was the foundation of a singular exclamation point in coffee history. A peculiar varietal was cultivated at Réunion — a low-growing, long-bean mutation of Red Bourbon that came to be known as Bourbon Pointu, or simply, Leroy — and was said to be favored in turn by France’s King Louis XV, and satirist Honoré de Balzac. Bourbon Pointu thrived on Réunion until the 1950s, when twin calamities of coffee rust (a disease of the coffee plant) and fire ants invaded the island’s plantations.2 The plantations were abandoned… and the island’s unique varietal was thought to be lost forever. This year marked the first commercial harvest of Réunion’s Bourbon Pointu in 50 years. It sold out “almost immediately” upon arrival in Japan despite it’s high-flying price — nearly US $70 for a quarter pound. No doubt King Louis would be proud. Still cheaper than Kopi Lewak. Price alone doesn’t really tell the story on this bean, I think. I see it more as something of a heritage coffee, and I’m awfully pleased it was recovered. I have noticed that Bourbon Pointu exists in the Coffee Collection here at the Coffee Research Foundation in Kenya. Up to now it has not been cultivated by smallholders or estates since it is susceptible to Leaf Rust and Coffee Berry Disease. Kenya already has its own disease resistant coffees. However this varietal could be usefully introduced to the large number of small scale growers in Rwanda who need a high value product on their very small coffee plots – providing know-how and training are given for fungus disease control.